After the proclamation of Athens as capital of the newly-founded Greek state, the urban planning by architects Kleanthis and Schaubert keeps intact the ancient landscape of Athens on the Hills. 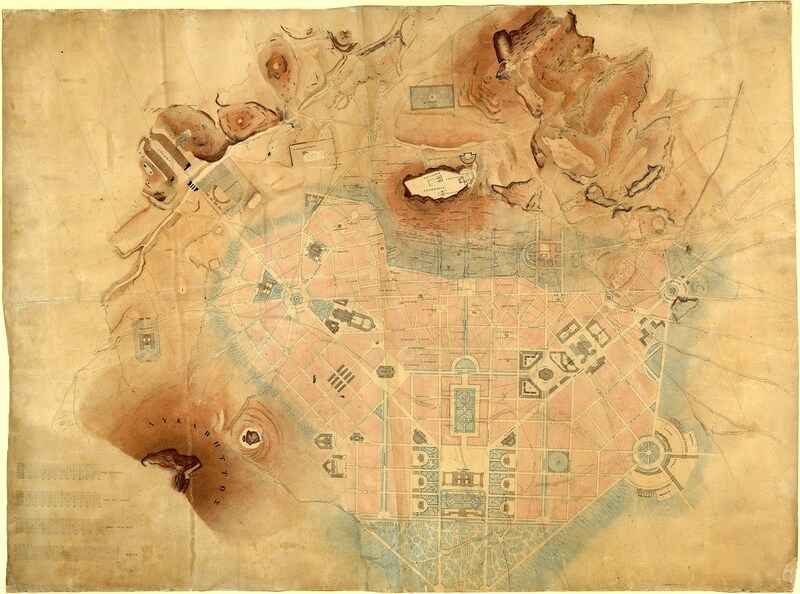 The expansion of the city towards the North across a flat ground, as well as to the area among the Acropolis and Lycavettos, is deemed as the optimal land management of the new capital instead of a “city on hills” or “Otto’s city” as it was envisaged by Karl Friedrich, Schinkel, Ferdinand von Quat and Leo von Klenze. However, following the auctioning of stones from the Haseki wall (1778) during the first months of 1835 for procuring construction material for the new capital, the attention shifts to the rocky elevations to the west of Athens. Biris 1966, 38, 70–72; Papageorgiou-Venetas 2001, 120; Korres 2010, 18–21. The urban design proposed by Kleanthis and Schaubert, featuring large squares, gardens and boulevards (1833).